The women behind Mamacita Café. For the past three years, Mamacitas Café served donut kebabs and coffee to thousands of people at festivals, catering gigs, and for a moment in a downtown brick-and-mortar. Now, they have a chance to move into a permanent retail space, where they’ll run a full service café. But owners need at least $60,000 to get their dream cafe off the ground. Mamacitas Café focuses on hiring and training young women of color, particularly the most vulnerable — those who are formerly incarcerated and former foster youth. As stresses of gentrification and sexual exploitation of young women of color continue, this is one beam of light that will help out a few young women by offering six full-time jobs. They launched a Kickstarter crowdfunding campaign on May 4, and have raised about $24,000 so far. They have less than two weeks to reach $60,000, and they’ll only receive funding if they reach their goal by Sunday, June 18. Kickstarter backers will receive gifts such as a free donut kebab (once the new café opens, for a donation of $20 and up), a behind-the-scenes tour of the café before it opens (donations of $50 and up), or $500 and up to get your name on the cafe’s walls. Make sure to watch the fun Kickstarter video. For a year, Mamacitas Café operated out of the Qulture Collective, a queer-friendly community space near downtown. 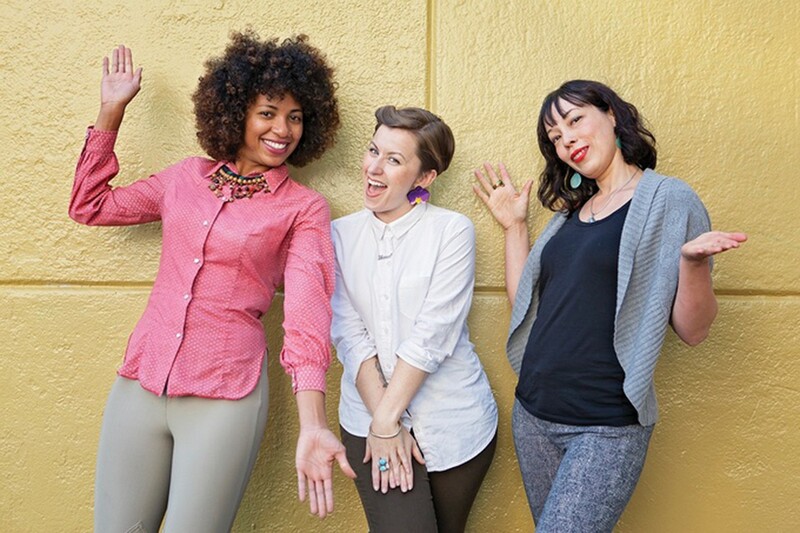 Mamacitas is founded by Shana Lancaster, Renee Geesler, and Simone Obidah, a former cook at Miss Ollie’s. The new location (not-yet-disclosed) will serve breakfast, lunch, and snacks and will have a full service expresso bar featuring Red Bay Coffee.